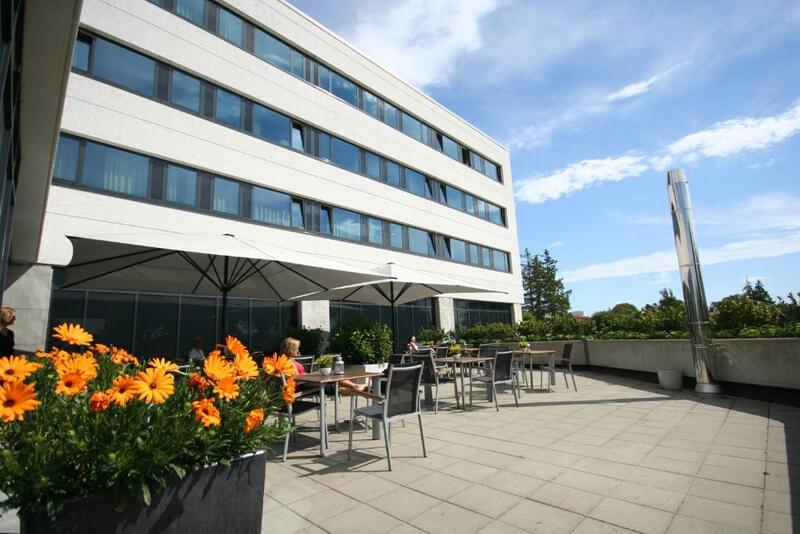 Lock in a great price for Stavanger St Svithun Vandrerhjem – rated 8.4 by recent guests! Close to the center of the city. Clean and cozy. Very friendly staff. Convenient location - off the bus stop to/ from airport; easy walk to downtown. Nice place, clean rooms, friendly staff, big parking is availavle. Hotel standard hostel. Good reception services. Instant information for bus (arrival time). Well-equipped kitchen. Spacious guest lounge. Guest room is tidy and cleaned. Shop and convenience stores at hostel. The location was great! The room is very comfortable and the staff was very nice and helpful! The staff were great and the room was perfect. Not extremely close to town (about a 25 min walk to the city center), but within 2 min walk to the bus stop. 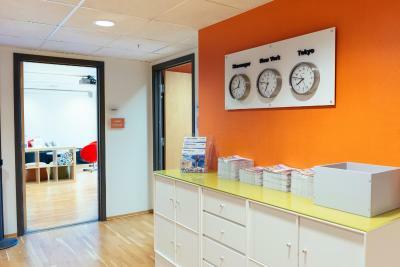 The hostel, although a bit on the pricy side, is the cheapest in Stavanger and has pretty good facilities, including a built in 24 hour convenience store and 24 hour check in. There's also a communal kitchen and refrigerator and every room has a small refrigerator in addition to that one. 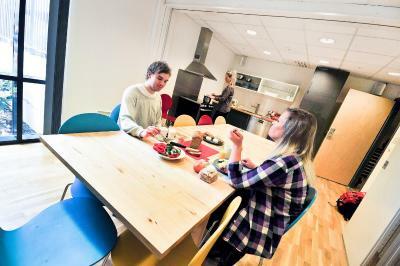 Connected directly to Stavanger University Hospital, this hostel is located just 1.9 mi from central Stavanger and offers modern hostel accommodations with free WiFi. 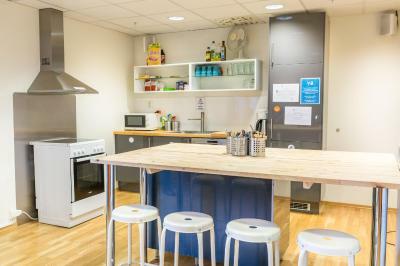 Guests have access to a shared kitchen while the lobby shop sells snacks and light meals. 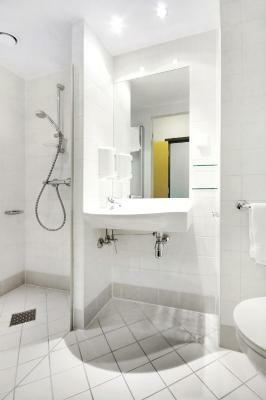 Each bright room at Stavanger St Svithun comes with a private bathroom. All guests have access to a shared kitchen. Café Morgenrød serves a variety of international and Norwegian dishes made with locally sourced ingredients. Breakfast is served each morning and meals can be enjoyed on the hostel’s terrace in the summer. Lake Mosvannet is 15 minutes’ walk away with access to popular walking routes through the Vålandskogen forest. A bus stop outside the hostel links guests to the iconic Preikestolen rock with its panoramic views. This property is also rated for the best value in Stavanger! Guests are getting more for their money when compared to other properties in this city. 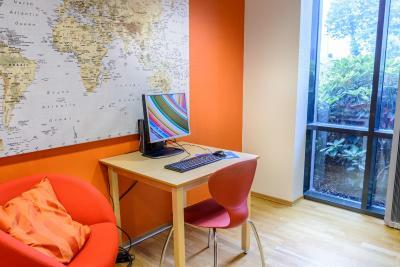 When would you like to stay at Stavanger St Svithun Vandrerhjem? 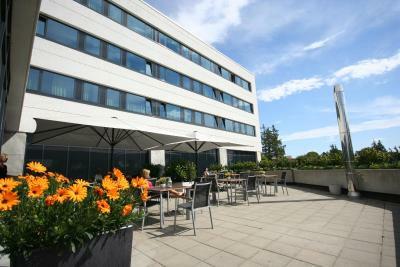 Private parking is available on site (reservation is not needed) and costs NOK 170 per day. House Rules Stavanger St Svithun Vandrerhjem takes special requests – add in the next step! Stavanger St Svithun Vandrerhjem accepts these cards and reserves the right to temporarily hold an amount prior to arrival. Bed linen and towels are included but guests have to make the bed themselves. There is no cleaning during stay, although towels are changed every third night of a stay. 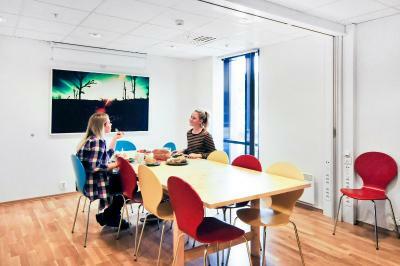 Please note that Stavanger St Svithun Vandrerhjem is the official patient hostel for Stavanger University Hospital. There are too many junkies in the Hotel. I smelled a lot of druges and it feel just i'm in dangerous. There wasn't enought wardrobe for clothes. Got there very late in the night and the receptionist was so nice. The location was perfect, just 1.5-1.7 km from the city center, the room and bathroom were very clean and staff was very helpful and friendly. 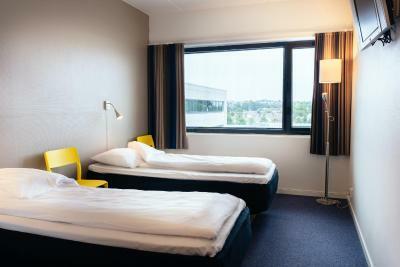 Highly recommend this hotel if you visit Stavanger city. You can use the kitchen in the basement to cook your own meal because the restaurant and snack bar are quite expensive. Room and bathroom were clean. Tv in room with english channels. Super quiet, located next to an hospital. Bus stop in front of entrance to go to the airport or city centre. I walked 20 minutes from the busterminal in the centre to the hotel. Staff was super friendly and helpful. 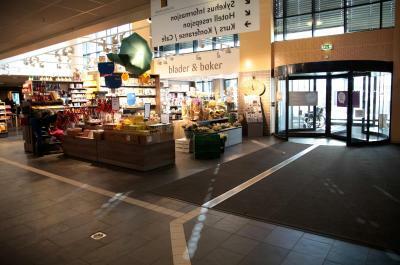 helpful staff; there is a 24 hours supermarkets on the ground floor. There was distance to city centre but walkable in 25 min. Friendly staff, clean rooms and everything was well organized. The card key was not reliable. I had to go down to reception each day to get it fixed. Everything in the room was nice, clean, and comfortable. I cannot think of anything that I would view as negative about my stay because truly the staff were just fantastic and that includes the restaurant staff too. Parking is not free. And breakfast is not included. I stayed for 2 nights. It was excellent. I shared the room with one other female and the room was very clean and comfortable. There is a common kitchen with everything you need. Staff was fabulous and very friendly and helpful. Very short drive to the Priekestolen hike.